Cambremer is a delightful village located in the "Route du cidre" (the Cider route), 30 minutes from Cabourg and Deauville. You will appreciate the discreet charm of this village, its church in the center, its shops and boutiques, its lovely houses built in bricks dating from the 19th century. 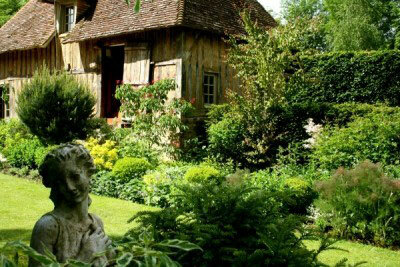 Take a rest in Cambremer, it is also visiting exhibitions of "la Grange aux Dîmes" (tithe barn), spending an enjoyable afternoon at "Jardin du Pays d'Auge", strolling at sunday morning market in a friendly atmostphere. Above all, Cambremer is the starting point of the "Cider Route" : 40 kilometers of small picturesque roads in the heart of Auge region. 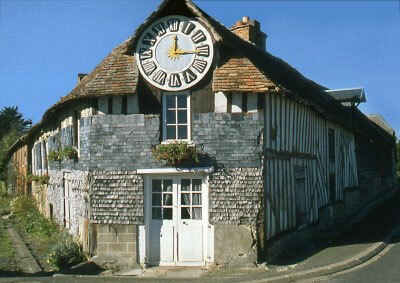 True postcard of Normandy, you will discover castles, manors, half-timbered houses and apple orchards..